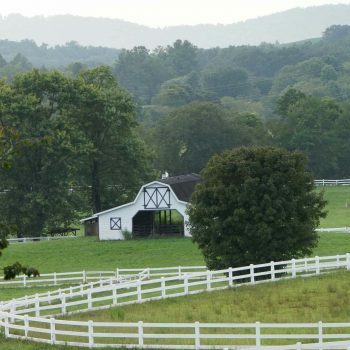 The Horse Shoe Farm is the ultimate equestrian retreat located just thirty miles from downtown Tryon, NC. In September 2018, The Tryon International Equestrian Center will host the FEI World Equestrian Games. The games will combine eight world championship caliber events over a span of thirteen days. Enjoy the excitement of this global event while avoiding the crowds by staying at the charming Horse Shoe Farm. Held every four years in the middle of the Olympic cycle, the FEI World Equestrian Games is among the most anticipated events on the global sporting calendar. At the Tryon Equestrian Center, athletes will compete in jumping, dressage, eventing, driving, reining, vaulting and endurance events. However, the games will also feature additional exhibitions and demonstrations. Hosting the event at the Tryon International Equestrian Center will be the second time in history that the games have taken place in the United States. Over 500,000 people will attend the games throughout their two-week span. And daily attendance is projected at around 40,000-50,000 visitors. To accommodate this swell of tourists, the Tryon International Equestrian Center is currently building additional hotels on their property. Construction equipment, overbooked lodging and thousands of out-of-town visitors is sure to accumulate into a frantic situation. Avoid the headaches, traffic jams and noisy neighbors by booking your stay at the nearby Horse Shoe Farm. Whether you want to attend the games as a spectator, or are traveling with horses in tow, The Horse Shoe Farm can comfortably accommodate you. Incredible mountain vistas of the Southern Appalachians surround over 80 acres of our pristine pastureland. A horse-friendly estate, we offer fourteen spacious stables to board horses, eight of which are even heated. 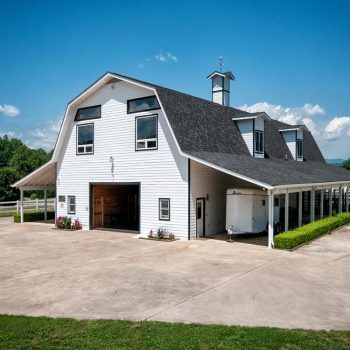 Our stable comes complete with a wash stall, feed room and tack room, so you can cater to all of your horses’ needs. And in addition to fifty acres of fenced pasture, horses can stretch their legs in our outdoor riding ring or in a number of field run-ins. But we don’t just cater to our equestrian clientele. We offer a number of charming, luxurious guest homes that are perfect for everyone. Whether you’re planning a large family vacation or a quick couple’s getaway, we have the homes to suite your needs. Don’t miss the opportunity to attend the World Equestrian Games at the Tryon International Event Center. But you should absolutely avoid the chaos surrounding this exciting event. Book your stay at The Horse Shoe Farm and experience the best of both worlds. Contact us to make a reservation!